I've walked alongside this loch (Loch na h-Oidhche) several times but never on such a windless day. 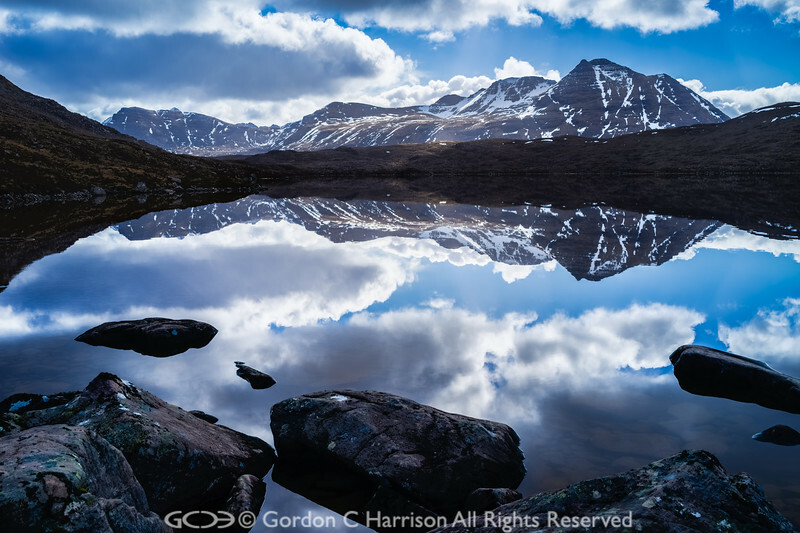 It was in fact the beginning of three very still days and I was fortunate enough to see other fine reflections at other lochs during that time. On the third day at about 2pm a breeze started and the wonderful mirror images vanished. The gaelic name for the above loch, Loch na h-Oidhche, means Loch of the Night and is so called because legend has it that the large trout in it could only be caught at night.